Instead of skipping a week of my weekly recap post, I decided that I would put two weeks into one post. The past two weeks have been very eventful!!!! Last week... I got news that turned my life upside down and I feel like I am in the Twilight Zone. Also, my laptop had fallen off my chair and landed on my foot which resulted in a minor toe injury. I also went a little nuts during my weightlifting the day before that and my muscles were screaming bloody hell the following day! So, bottom line... for almost the entire week I had to listen to my body and let it rest. I have been very accident-prone lately. All I want to focus on right now is my St. Patty's 5K next Saturday. This week I slowly got back into everything. My toe is feeling great! Still scabby, but feeling much better. 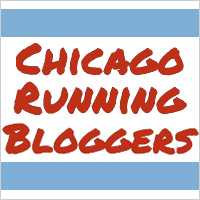 I have been taking advantage of the awesome Chicago weather we've been having and getting out for some 1 and 2 mile runs and slowly been easing back into running since I had my daughter. Feels nice to run outside without worrying about all the snow and ice. Warmer weather also means night runs. I love running at night, but during the winter it's not very smart or safe to do, so I don't do it. There's something about the night that make my runs calm and enjoyable. I do keep night runs short and sweet for my safety. I miss my night runs!